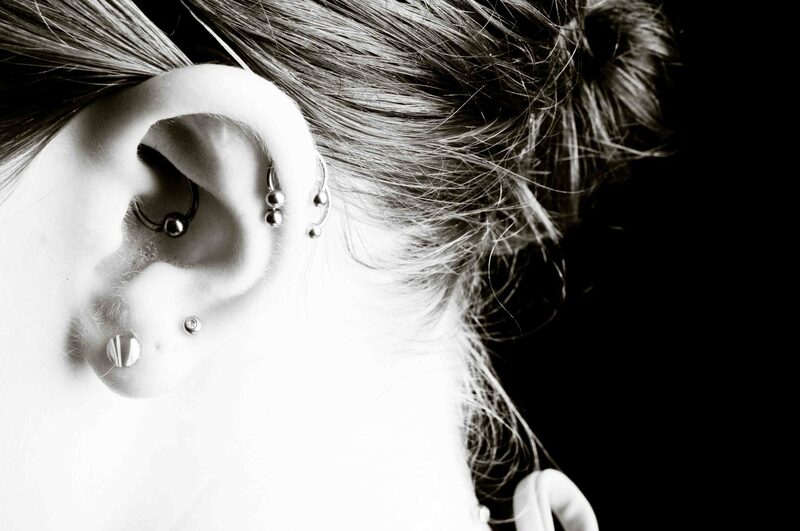 People under the age of 18 want piercings for a variety of reasons. As a reward for great grades or better behavior, as a bonding experience with a parent or a friend, or a way to celebrate an amazing accomplishment, we hear many reasons why someone under 18 is visiting Almost Famous Body Piercing for a piercing. The most requested piercing by this age group is anything in the ear. Parents or Guardians should help their kids carefully consider why they want a piercing, and talk about the responsibilities of aftercare before they get any piercing. Visit the shop you wish to get pierced at before you make your final decision, and visit with the piercers. Ask for all the printed material available, and a copy of the release form. Request to see the room where your piercing will happen, ask lots of questions, and make sure your Parent or Guardian gets a chance to ask questions, too. If you feel at all uncomfortable, try visiting a different store that offers piercing and see if you feel better in that environment. Some piercings should wait until you are finished growing. Navel piercings, oral piercings, and surface piercings are among the piercings that can be affected by a growth spurt. Most minors who present themselves for these piercings tend to be older. Involvement in school activities should also be considered before deciding on a piercing. Will you have to take the jewelry out to participate in your favorite sport? How about for a speech tournament or a play? If you get a piercing only to have to change the jewelry out too early or too often, it may be best to wait until later. Once you and your Parent or Guardian have made the decision that a new piercing is in your future, you’ve carefully considered all of your alternatives, and you’re ready to go, make sure you bring your ID, your Parent or Guardian (and their ID), and go for it!